I was provided a Free Copy of the “Best of Collection” DVD to facilitate this post from Anchor Bay Entertainment. The opinions expressed are that of my own. How does 28 episodes of Wubbzy fun sound? Well, there is a NEW Wow! Wow! Wubbzy! : Best of Collection 4 disc DVD box set filled with exactly that! We have been fans of the Wow! Wow! Wubbzy! series for a very long time. I remember watching it on Nick Jr with my almost 8-year-old son, who at the time was maybe 3. He was mesmerized by the episodes and would get up and dance to all of the catchy music videos. He still likes it, and my daughter has this same affection for the series. Since we got this set of DVDs, she has watched the Best of Daizy and Best of Widget discs a couple of times already. 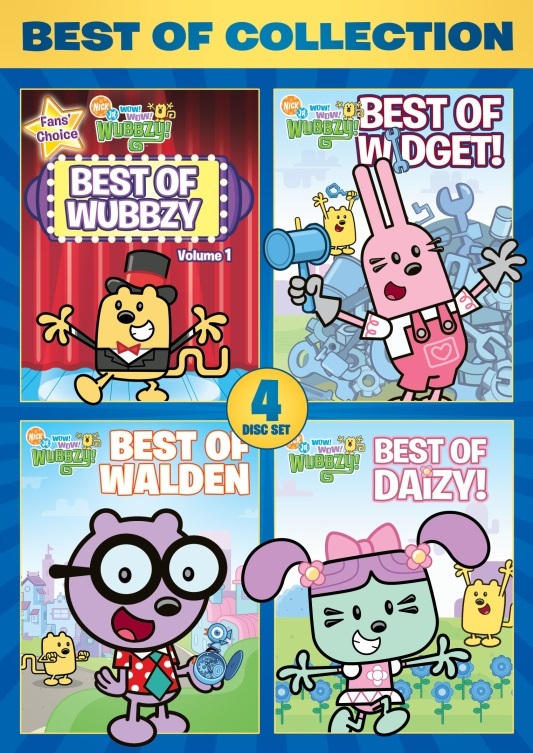 This disc set includes a focus on the 4 popular Wubbzy characters including Wubbzy, Walden, Widget, and Daizy. I actually reviewed the Best of Wubbzy and Best of Walden in past. Wow Wow Wubbzy! “Best of Walden” DVD Review! Wow! Wow! Wubbzy! 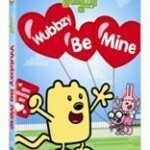 “Best of Wubbzy” DVD Review! I really like this set because the DVDs keep the kiddo’s attention, I know the content is safe and good quality, and I like that it makes them want to get up and dance. I asked the kids why they like the DVDs, and my daughter said, “It has Daizy and Widget, and Daizy likes to plant and Widget likes to build.” she then added, “Those are things that I like to do!”. My son said, “They are all funny.”. This Box Set was released on October 1, 2013 and retails for $19.98. It runs for 280 minutes and also features coloring and activity sheets, music videos, and a bonus episodes. Want to purchase this DVD? Check retailers like Target, Walmart, or Amazon here–>Wow! Wow! Wubbzy! : Best Of Collection . Wow! Wow! Wubbzy! currently airs daily on Nick Jr. For more information about the series, visit nickjr.com/wow-wow-wubbzy/ or check then out on Facebook at facebook.com/WWWubbzy. Do your kids love Wow Wow Wubbzy!? If so, who is their favorite character? Thanks to Anchor Bay Entertainment, 1 lucky Frugal and Fun Mom reader will also receive a copy of “Wow Wow Wubbzy! Best of Collection” DVD, a $19.98 Value. Nick Jr’s Wow! Wow! Wubbzy! 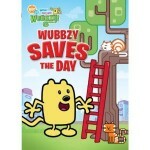 “Wubbzy Saves The Day” Review and Giveaway! My three year old twins like wubzy very much, especially the episodes that have to do with trains, cars, firetrucks! We rarely catch this one on TV, but when we are lucky enough to see it both of my girls really like it! They love the show and love wubbzy. Their favorite character is Daizy Thank you! We watch the show all the time, Walden is are favorite. yes, my kids love this show! their favorite is Wubbzy! They do enjoy watching Wubbzy. Favorite character would have to be Widget. Yes, Walden is her favorite! He likes to build things! My daughter loves Wubbzy! Our favorite is Walden! She loves the show! Her fave is Widget. all three of my kids enjoy the show and Walden seems to be the favorite around here.